Join us on the Original Free Barcelona Alternative Tour. Barcelona is famous for its strong alternative and underground urban culture. It’s been known as a mecca for skaters and artists alike, with its seaside boulevards and endless inspiration from Catalan creativity. The whole city is a playground and gallery if you know where to look. Luckily for you, we do! Join us on our Original Barcelona FREE Alternative tour and explore the hidden gems around every corner. Come duck between alleyways and mysterious corners to find all the underground and local treasures of Barcelona. 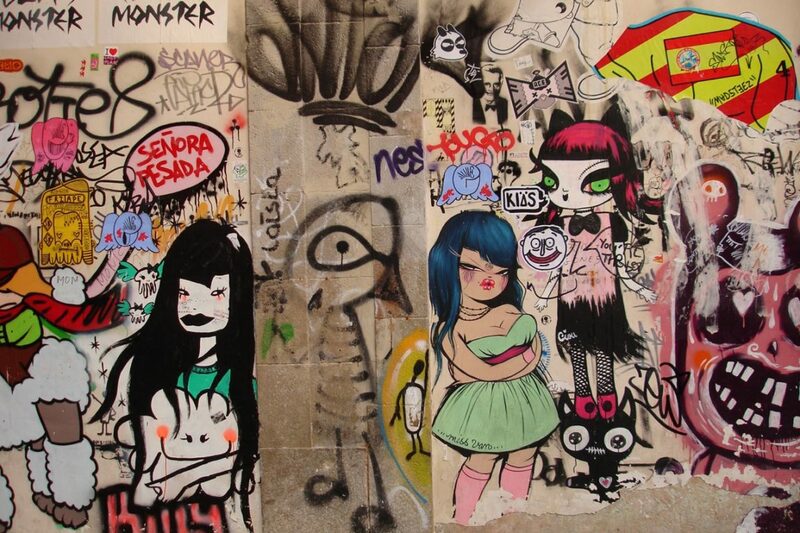 This is not your average walking tour, with us you’ll hunt the edgy and underground cultures of Barcelona. This is a first-hand experience guided by expats and locals who know the city as home. The tour prides itself on being an informative, social and unique experience. Traveling should be relaxed and fun, and we hope to help you on the way! 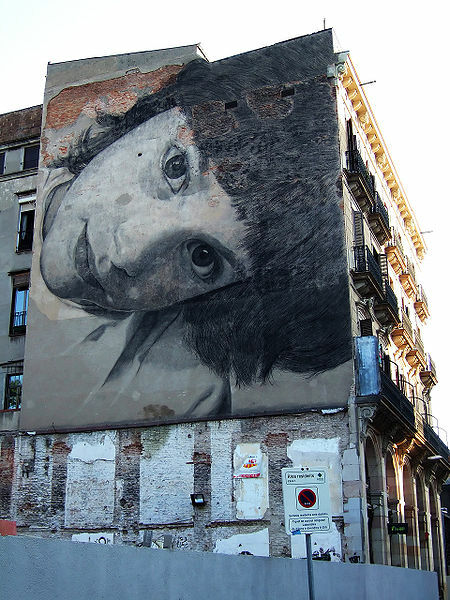 The alternative presence in the Barcelona is undeniable, with a devote street art scene. There are many classic street art pieces which have been around for decades and new pieces are constantly popping up. Barcelona became a major hotspot for alternative culture in the 90’s and is only getting stronger! 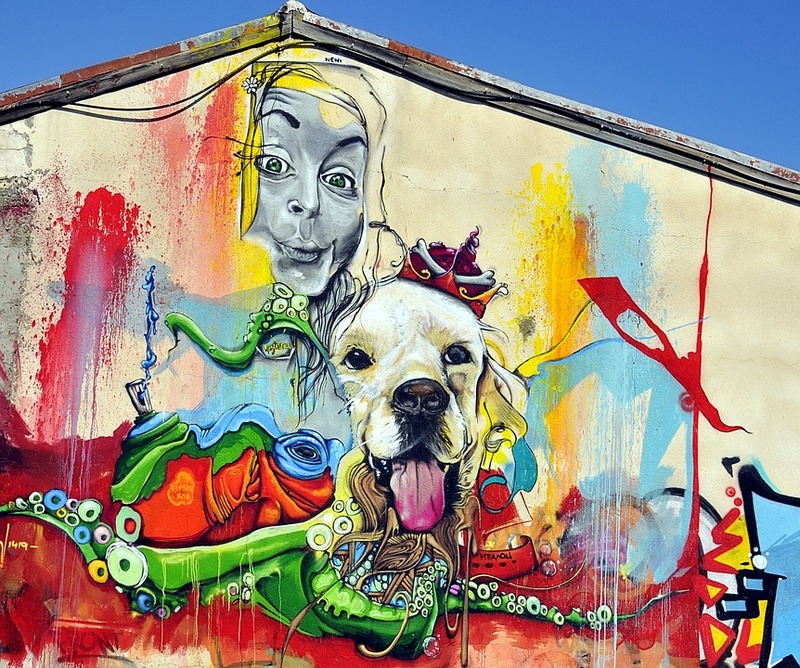 On our tour, we’ll explore alternative neighborhoods, street art, graffiti, the skateboard scenes, squat scenes, urban legends, stories, and myths. As if it couldn’t get any better, we offer the tour for free! The guides are true locals who can’t wait to share their city and passion with you! That being said, tips are always encouraged… We wouldn’t want to take the saying starving artists too literally ;). The exact route of the tour is susceptible to changes, depending on the guide, the group, and the weather to ensure the best possible experience for you! Be prepared for the best recommendations for pubs, clubs, tapas, hidden skate bars and parks, cafes and anything else the cool kids are doing these days from our guides!